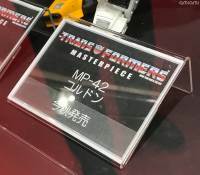 Via Twitter users @brickonator and @amiamihobbynews, we have our first images of the upcoming Masterpiece MP-42 Cordon. MP-42 Cordon is a repaint of MP-39 Sunstreaker, based on the Pre-Transformer Diaclone Police Car version of Sunstreaker. We reported this release just a few days ago, and now we have our first image of the figure from the Shizouko Hobby Show. 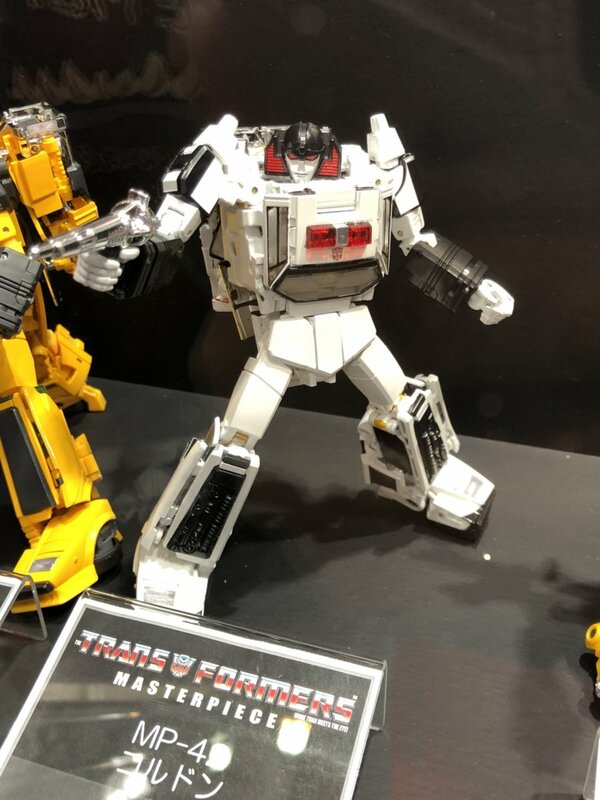 The figure shines in pure white, as it was the Diaclone version. The new head is toy-accurate and features vibrant red eyes now, and the chest has got the police car siren on it. We see some new remolds and details on the black parts of the leg too. One interesting thing to notice is the new chromed hand gun, which seems it can become an arm cannon. 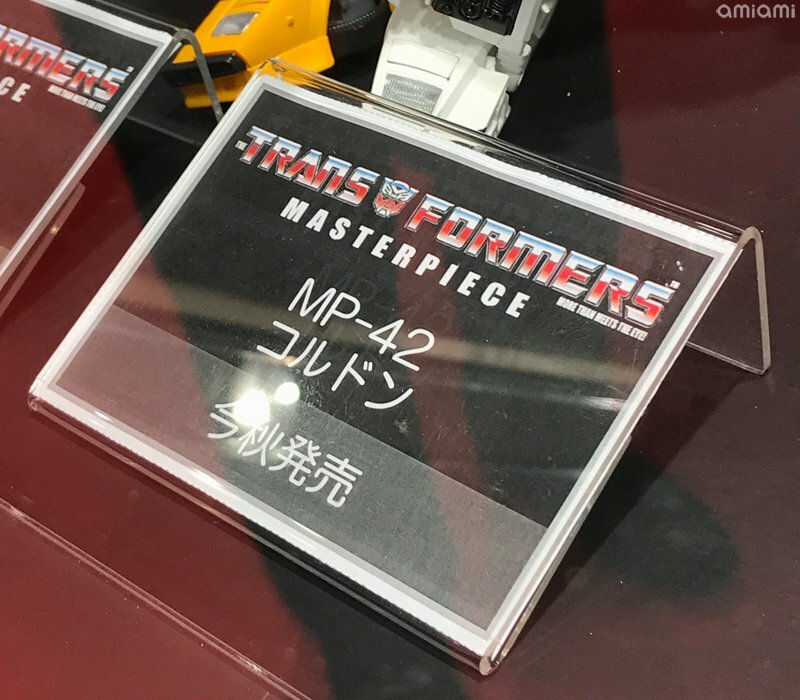 We still have no information about other accessories or bonus for this figure but, according to our previous report, MP-42 Cordon will be released this October. You can see the mirrored images after the jump and then sound off at the 2005 Boards! Still, it's a nice addition to the collection. Some would say it is price. Paint defo is one of Takaras weak spots. Got a little time to mess with him. The right 'toon taillight's hinge was stuck from paint. It was hell prying it loose without damaging the paint. Those tail lights do get stuck initially. My MP Sunstreaker was the same way. Yep, I have this and Sunstreaker. Mirror issues are definitely user error. Put them away just in case. A bit of a follow-up… I just watched a YT video from @Kuma Style on the b2five Acid Rain figures and at around 44 seconds, he measures them at around 2.5" inches tall, which is I think what we need to scale to MP car bots. I think you guys are transforming the doors wrong. The mirrors should not be popping out. Are you using the armature and the hinge on the doors to get them far away from the legs before folding the windows? The figure is not in front of me but you should watch Watafa’s video review of Sunstreaker. I’m guessing he does it correctly but I can’t check right now. I realize there are differences in tolerance etc. between copies of figures but the mirrors on both MP-39 and MP-42 have never come close to popping out on my copies. Yup, that's been a running thing, with their mirrors, if they're causing you problems 99.9 % of the time it's user error. Just put an order in for this guy finally. I had an original diaclone years ago but sold it off with most my G1 stuff. Cant wait to get him. This mold is insane how perfectly everything fits together with no room for error. Probably down for a red version at this point. I transformed mine a few days ago….He is great, far better than Sunstreaker IMHO in every account. My only gripe is that he has some minor paint chipping on the fingers. Just got my Streetwise in today. I don't know what Bobby Skullface was tripping about. This thing is excellent. Just too tall in robot mode and too big in car mode. Argh! Don't forget MP Inferno or MMC OX PS Backdraft.